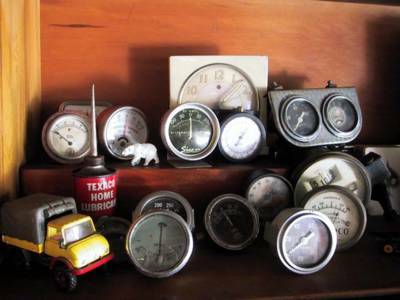 Not that I don't have plenty of gauges, I have plenty of gauges. And can not see a day when I stop buying gauges. The green faced, round glass ammeter in the front is exquisite.